Design: i realise all my lace tops from ohvola are made from different designs of lace. er yes, i have most of the lace tops that they launched recently. XD i know its a bad habit. 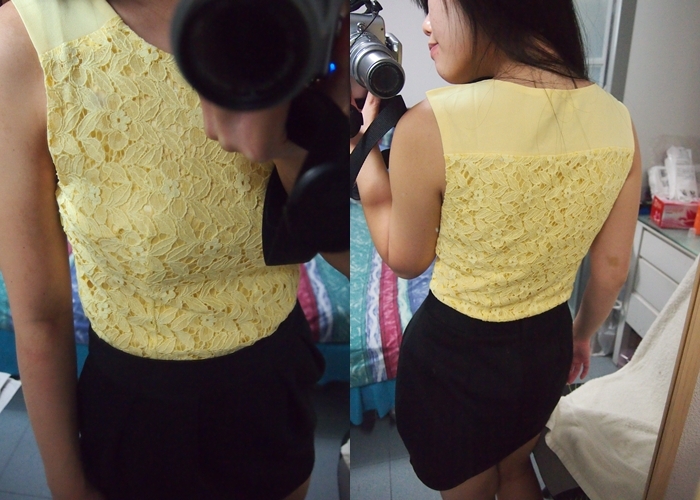 this yellow top has got flower and leaves motifs! an unique twist abt this top is the chiffon shoulders portion. 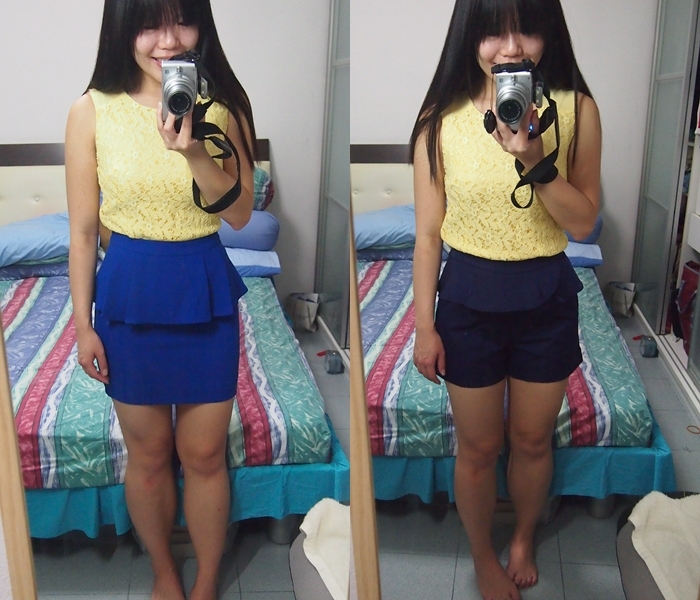 so that it has the, not another similar top in your wardrobe. LOL. sizing: size M fits me good. comfy at ptp! 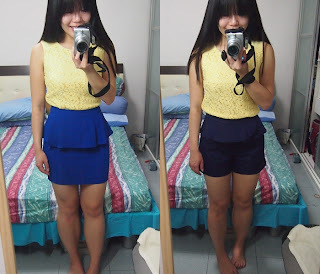 >oh ya, like all tops with a side zip, you cant run away having the zip protruding out at the sides when you wear certain bottoms (refer to the picture where i paired it with the LB miranda cobalt skirt) if you are particular abt it, take a careful look at the mirror before heading out! some bottoms doesnt make the zip obvious. 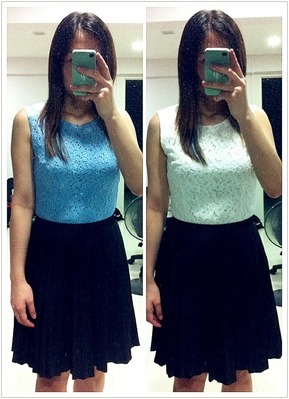 Another crazy impulsive purchase, in both colors too and i already have numerous white lace tops. Anyway this top is very well made, the fit is great and the lace is very smooth. Come with inner lining hence not sheer at all. The side zip is pretty redundant IMO cos the top is stretchy.